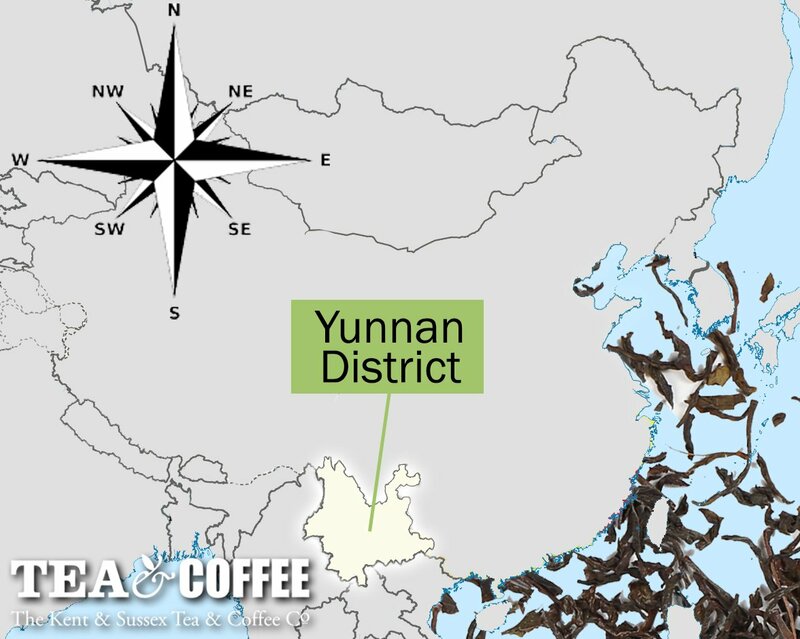 The Yunnan province of China is situated in the Southwest of the country, it’s a mountainous region with good rainfall and a moderate climate which is conducive to ideal tea growing conditions. The Yunnan province has a great history of tea and is known as the ‘home of tea’. According to records it was over 2000 years ago that the first tea plants were established, and to this day there are wild tea trees growing in the region that are over 800 years old, the oldest are known as the kings of tea trees. There are two types of tea plant grown in Yunnan. Both varieties are from the Camellia Sinensis species. C. Sinensis var. Sinensis is the smaller tea bush and C. Sinensis var. Assamica is the larger, broad-leaf tea tree and is native to the region. The Yunnan Province is best known for its production of Pu erh Tea. Pu erh is a uniquely produced tea that is fermented over time which gives it a strong, earthy flavour and deep red liquor. Yunnan Tuocha tea or dome shaped tea, is a bird’s nest shaped tea cake. Usually made from Pu erh Tea, the Tuocha range in size and weight, the small Toucha can be steeped whole in a cup while the large Toucha are usually broken up, read our article 5 Good Reasons to Drink Pu-erh Tea. Although Yunnan province is most famous for its pu-erh black tea, other teas are produced there. Yunnan Green Tea also comes from the broad-leaf Assamica plant which gives it its distinctive aroma and taste. We stock a wide range of teas from the Yunnan Province including of course Pu erh Organic Tea, , another favourite is our Yunnan Gold Toppest tea which has many golden tips that have more flavour and aroma than standard leaves.